This new EGO Power+ 15-Inch 56-Volt Lithium-Ion Cordless Brushless String Trimmer uses a brushless motor which offers more motor efficiency and power. At the same time, it also increases its cutting swatch from 12 to 15 inches. These are two of the aspects that make it stand out as being better when compared to its siblings under this category. One of the very first things that you will notice about this ego hedge trimmer is that the packaging has been improved. This means that it has been folded in half, with two supplied Allen screws inserted, thus securing them well with the wrench included. The shaft only comes with one wiring, and it has been well-protected with a thick, nice, and plastic overmold. One of the most important features of the EGO Power Cordless Brushless String Trimmer is its brushless motor. This new motor provides more torque and power compared to the last model under this category. 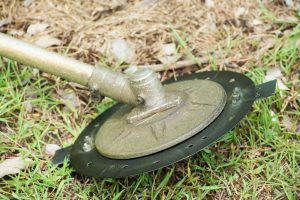 It pushes a 15-inch diameter string path as opposed to the former model’s 12-inch path. This additional cutting area is highly necessary, and it also needs additional power needed in order to drive the string through grass with the speed enough to produce a satisfying outcome. The line has also been improved. This new model upgrades from using a 0.08-inch nylon line to using a 0.095-inch twist line. This is basically an increase of 20% in overall diameter, creating a huge difference. It brings a new and stronger trimmer in line with the other pro-oriented models. At the same time, it also comes with a 56V 2.0Ah battery, which is added at the rear of this model, just behind the trigger and handle. This model can also slide in pretty easily with a ‘click’ that will give you the signal that you are now ready to start. The battery retaining system, the handle, and the triggers come with a redesigned overall look. The triggers are now more sensitive, giving you more control over the tool compared to a power tool-style squeeze trigger. This feels great, offers control on the tool and works smoothly overall. At the same time, the lock-off lever is placed well, and will never get in the way as you use the tool. 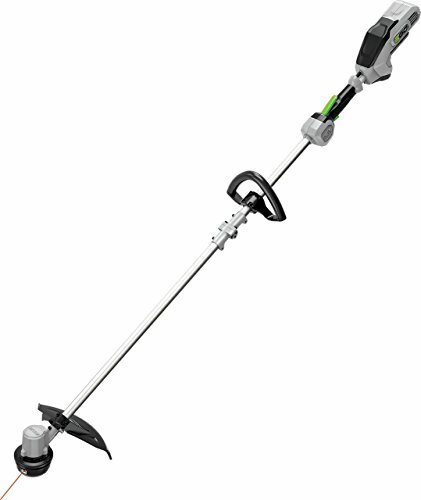 This new Cordless Brushless String Trimmer is built to provide several years of service. In fact, even the design is futuristic, with an ergonomic feel and nice straight shaft. Even the handle padding is quite comfortable, which is a perfect addition to this tool. With the use of new processes in the manufacturing of synthetics and rubber, this model is expected to have a decent lifespan. Also, just the fact that its brushless motor is positioned right on top of the spinning cutting head also means that you are not going to deal with a spinning shaft in its tool. This means less moving parts, which also means a longer life. This is basically one of the main concepts that make these cordless tools really attractive, and this is a well-built machine with minimum frills to get in the way. The quick charger is an amazing inclusion with this kit. With a fast charging time, you won’t have to wait hours just waiting for the battery should you forget to charge it. After running down the battery, you can expect to use it again after charging it for just 30 minutes, which can still be considered as enough for you to do some quick chores as you wait. All in all, using the product is great, as the mower is capable of cutting consistently regardless of the condition of the lawn. Once again, EGO has been able to produce a piece of equipment that can be described as perfect for home use. 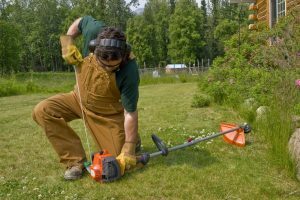 Of course, if you need something to use if you need to trim grass all day, this may not be an option, but if you need one for home use, this cordless hedge trimmer is perfect for several reasons. For one, it is simple enough, being a battery-operated outdoor power equipment. 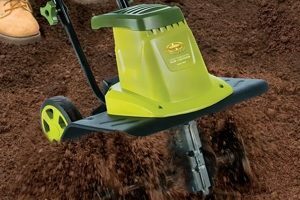 This string trimmer is a tool that most professionals with smaller yard will certainly appreciate. 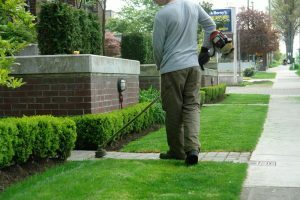 It can help in getting the job completed, and you will definitely feel comfortable as you use it while making sure that your yard looks great. A lot of users feel satisfied with the overall performance of this product. The mower has been built with an overload protection circuit which works in preventing damage to the batteries or mower. There is also a LED at the back of the mower which can be used to illuminate to warn the user as the overload protection starts to kick in. This LED headlights can be considered as a great additional touch to this model. If the user fails to respond to this signal and the mower is still used for too long, it will power down automatically, and can be restarted after a minute or more afterwards. Overall, the functions, design, and performance of the EGO Power+ Brushless String Trimmer works well in making sure that all tasks in your yard will be completed accordingly.